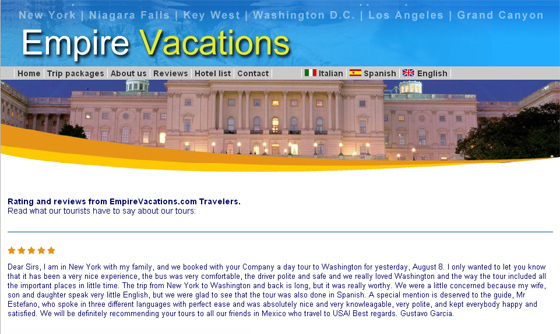 Empire Vacations provides guided tours for the most attractive sites in the United State. 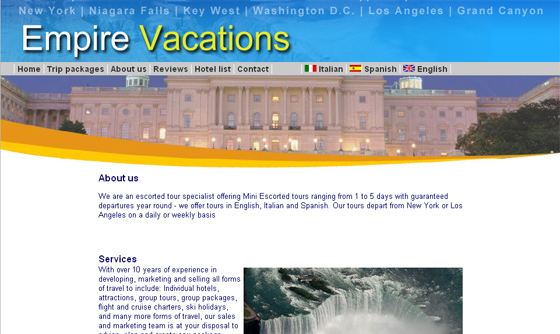 Using a team of seasoned tour guides that will make any tour an unforgettable experience. Welcoming individuals, couples, families, and groups with wide open arms. IBCnet designed, developed and provides internet marketing services in multiple languages.